Put/call parity states that the price of a call option implies a certain fair price for the corresponding put option with the same strike price and expiration (and vice versa). Support for this pricing relationship is based on the argument that arbitrage opportunities would exist whenever put and call prices diverged. When the prices of put and call options diverge, a short-lived arbitrage opportunity may exist. Arbitrage is the opportunity to profit from price variances of identical or similar financial instruments, in different markets or in different forms. For example, an arbitrage opportunity would exist if an investor could buy stock ABC in one market for $45 while simultaneously selling stock ABC in a different market for $50. The synchronized trades would offer the opportunity to profit with little to no risk. In options trading, arbitrage traders would be able to make profitable trades, theoretically free of risk, until put/call parity returned. When prices diverge, as is the case with arbitrage opportunities, the selling pressure in the higher-priced market drives price down. At the same time, the buying pressure in the lower-priced market drives price up. The buying and selling pressure in the two markets quickly bring prices back together (i.e., parity), eliminating any opportunity for arbitrage. The reason? The market is generally smart enough not to give away free money. The most simple formula for put/call parity is Call – Put = Stock – Strike. So, for example, if stock XYZ is trading at $60 and you checked option prices at the $55 strike, you might see the call at $7 and the put at $2 ($7 – $2 = $60 – $55). That's an example of put/call parity. If the call were trading higher, you could sell the call, buy the put, buy the stock and lock in a risk-free profit. It should be noted, however, that these arbitrage opportunities are extremely rare and it's very difficult for individual investors to capitalize on them, even when they do exist. Part of the reason is that individual investors would simply be too slow to respond to such a short-lived opportunity. But the main reason is that the market participants generally prevent these opportunities from existing in the first place. Some options trading platforms provide charting for put/call parity. Figure 7 shows an example of the relationship between a long stock/long put position (shown in red) and a long call (in blue) with the same expiration and strike price. The difference in the lines is the result of the assumed dividend that would be paid during the option's life. If no dividend was assumed, the lines would overlap. 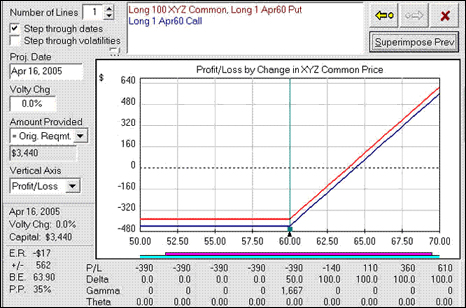 Figure 7 An example of a put/call parity chart created with an analysis platform. Interest rate parity exists when the expected nominal rates are the same for both domestic and foreign assets. This stock/options combination helps traders take advantage of market mispricing. Find out how. If you're bearish, you should compare the risk/reward characteristics of these two strategies. Bull spread option strategies, such as a bull call spread strategy, are hedging strategies for traders to take a bullish view while reducing risk. With the euro hitting record lows against the dollar, market expectations are for euro-dollar parity in Q1, before the single currency finds support.